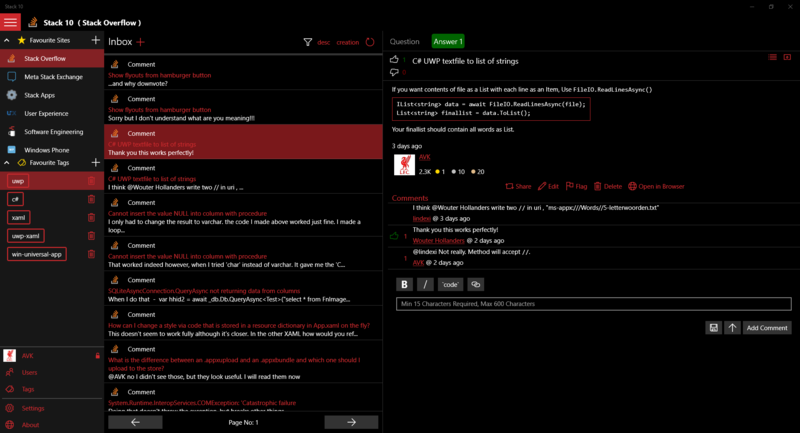 Stack 10 is a UWP Stack Exchange client for Stack Exchange Network. If you have any request/concerns/Questions, please submit using the Feedback button on About Page. 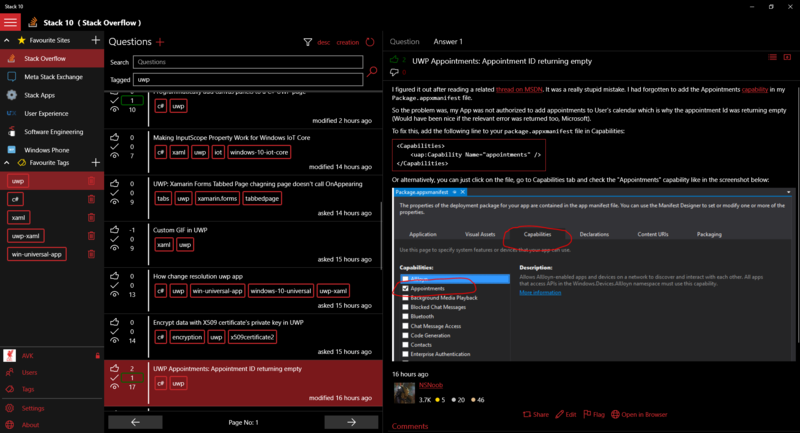 Browse other questions tagged app windows windows-uwp .